FirstLight Federal Credit Union is a community financial cooperative dedicated to helping you and your families achieve financial security by providing accessible products, services, tools and education. In 1955, nine pioneers developed a plan to help military and civilian personnel on Biggs Air Force Base have more access to credit and other financial services. They applied for a credit union charter to the National Credit Union Administration. On March 30,1955, they were granted charter number 10174 and the doors of Frontier Federal Credit Union were opened for business. While the credit union was servicing personnel on Biggs AFB, Fort Bliss Federal Credit Union served the military personnel just down the road. When the two credit unions crossed paths with the Army command over Biggs AFB, it was only a matter of time before the two credit unions merged. After the take over, permission was granted to merge Frontier Federal Credit Union and Fort Bliss Federal Credit Union on August 12. The credit union’s name was changed to Air Defense Center Federal Credit Union (ADCFCU) and, in 1972, moved to Building 1741 on Fort Bliss. By the time the credit union was 23 years old, credit unions everywhere were expanding their services from the basic share and loan accounts, to share draft accounts, share certificates, credit cards and mortgage lending. During the late ‘70s, ADCFCU began offering these services to members and was on its way to becoming the full-service financial institution it is today. During the early 1980s, the United States Congress pushed the deregulation of financial institutions in an effort to ease regulatory burdens and increase competition for banks. At the same time, ADCFCU was one of the fastest growing credit unions in the nation. The NCUA frequently called upon the management of ADCFCU for advice and help with troubled credit unions. In 1982, at the request of the NCUA, ADCFCU acquired the Doña Ana County Teachers Federal Credit Union. Also in this decade, a number of ATMs were added, and an automated voice response system was installed. In 1990, the credit union's board of directors voted to change the credit union's name once again to Fort Bliss Federal Credit Union. In September 1996, the credit union submitted a community charter application to serve Doña Ana County and it was approved by the NCUA. The charter opened the doors of the credit union to all residents of Doña Ana County. Two years later, the credit union opened the Del Rey Branch, which added convenience and service to the Las Cruces market area. During 1999, the credit union expanded services in El Paso with the opening of the Kenworthy branch. In October, the credit union also joined a shared branching network through the NCUA. In 2001 the credit union received approval from NCUA on its request to add an underserved community charter to include all of El Paso County. A third El Paso branch was opened on Lee Trevino in 2003. In 2005, the credit union board of directors once again voted to change the name of the credit union to FirstLight Federal Credit Union. The reason for the name change was to communicate a commitment to reach out to the broader community, as now anyone in El Paso or Doña Ana County was eligible to join. 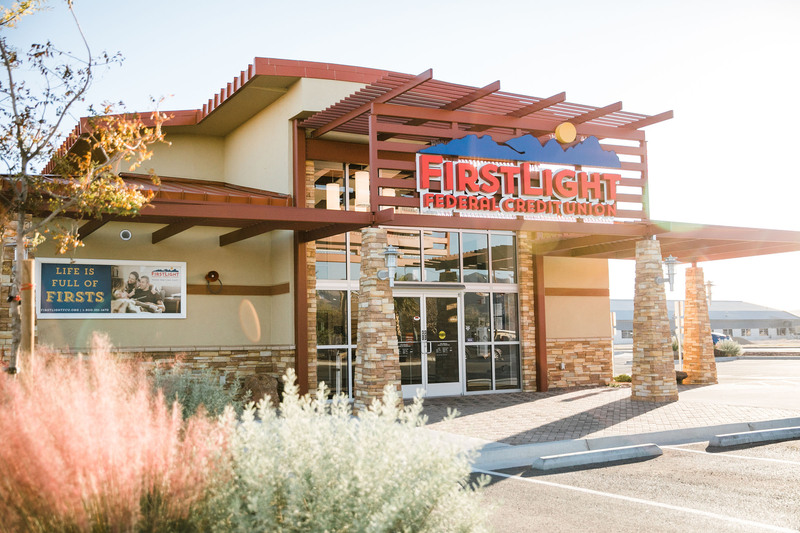 Since then FirstLight Federal Credit Union has made great strides in technology, community involvement, and financial growth. To learn more about FirstLight we invite you to read our Annual Report below.